The authors of this volume provide information, insight and strategies for understanding and managing anger more effectively. They outline impulse control, social skills, moral judgements, environmental factors and therapeutic approaches designed to help the reader consider their own anger as well as their reaction to the anger of others. Specific ideas are given for working with children and the resources and check lists are photocopiable. This 20 lesson book and CD-ROM pack explores a range for feelings and provides facilitator notes and activities to help young people. The lessons include: introduction to an emotion and warm-up, questions for Circle Time and activities, take home tasks and reinforcement and ideas for a plenary session. Effective Stress Management A series of 12 sessions for high school students. Allowing clients to work on their own problems and at their own pace, this excellent title recognises that solving personal problems is a skill to be learnt just like any other. It teaches the reader the necessary skills and then guides the use of those skills through organised action plans and practical self help programmes. It is excellent for helping to build confidence in relationships, communicating with others, and understanding personal choice. It helps the user overcome guilt, anger, moodiness, depression, stress, and anxiety, and encourages a more relaxed approach and helps to handle conflict at home and in work. All of the exercises, questionnaires and action plans can be freely photocopied. Equally strong emotions give rise to the expression of anger - fear, embarrassment, loss among many. The sense of injustice is a constant theme - 'things not being fair'. Things indeed are not fair for many adolescents, and their power to change the situation may be effectively non-existent. Unlike work with adults, when even in the most desperate circumstances it is usually possible to identify some means of improving the outcome, adolescents are often powerless in situations that are not of their making. Who wouldn't be angry? Adolescent suicide rates, especially among young men are a huge concern. Angry adolescents are often depressed and always have very low self-esteem. The experience of being listened to by someone who isn't shouting, arguing or criticising can make a big difference. Easy to say if you're a teacher or parent on the receiving end. There are a number of useful, practical texts to support work with angry adolescents that build on these ideas of increasing self control, improving self-esteem and seeing situations from the point of view of others. Anger Management: A Practical Guide by educational psychologists Adrian Faupel, Elizabeth Herrick and Peter Sharp is a long-established text offering strategies and tips for teachers and parents. While directed at work with young people, the concepts also have been valued by adults trying to understand and cope with their own anger. Tina Rae has written a number of excellent practical guides, setting anger in a broader context that contributes to de-labelling the young people concerned. Two examples are Emotional Survival: An Emotional Literacy Course for High School Students and Strictly Stress: Effective Stress Management for High School Students. Alex Kelly, whose primary work is with adults with learning disabilities has also produced a number of comprehensive social communications programmes of relevance to people of all ages. Talkabout: A Social Communication Skills Package and Talkabout Activities: Developing Social Communication Skills provide excellent models for groupwork. Deborah Plummer offers simple, creative, fun activities that are suitable for children of all ages, including those with special needs. Helping Children to Build Self-Esteem: A Photocopiable Activities Book and Using Interactive Imagework with Children: Walking on the Magic Mountain are good examples. Richard Nelson-Jones has written extensively on counselling psychology. Human Relationship Skills is partly directed at young people and is intended to help people make better decisions. 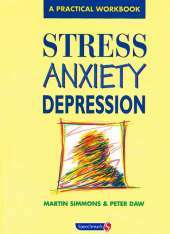 Stress Anxiety Depression by Martin Simmons and Peter Daw is a practical self-help workbook that is also useful for professional helpers. The text is clearly set out and makes useful distinctions between terms that are often confused or used interchangeably. 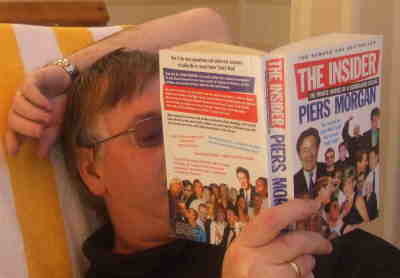 The authors highlight 'an ability to relax' as a primary aim. Anger Control Training is a comprehensive cognitive-behavioural training pack by Emma Williams and Rebecca Barlow intended for use by professionals in a variety of disciplines. For those working in schools, Brief Counselling in Schools: Working with Young People from 11 to 18 by Dennis Lines offers a realistic overview of the challenges involved. Finally, two more theoretical texts that offer valuable insights and context - Clinical Practice with Adolescents by David G. Martin and At Risk Youth: A Comprehensive Response by J. Jeffries McWhirter, Benedict T. McWhirter, Ellen Hawley McWhirter and Robert J. McWhirter. This hugely popular photocopiable manual provides professionals with a framework for the development of social skills. Initially piloted on adolescents with mild learning difficulties, it can be used with a variety of client groups, both children and adults. Beginning with a basic assessment procedure to evaluate the client's self-awareness, as well as the awareness of others, it is divided into six levels: improving the awareness of self and others, including physical appearance, likes, dislikes and problem solving; allowing clients to assess their own communication skills; taking the client through eight levels of body language; 'talkabout the way we talk' improving paralinguistic skills; taking the client through the processes needed to improve conversational and listening skills; awareness and use of assertiveness skills. Practical and user-friendly, this comprehensive workbook is an essential resource for therapists running social skills groups. Following many requests by teachers and clinicians, "Talkabout Activities" has been developed by the author of the successful "Talkabout" to provide practical activities for social skills training. Containing 225 group activities, this excellent resource is aimed primarily at people familiar with "Talkabout", although it can be used by anyone running social skills groups and will complement other social-skills training programmes. 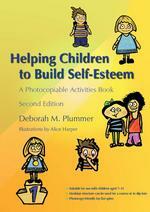 This second edition of the highly successful "Helping Children to Build Self-Esteem" is packed with fun and effective activities to help children develop and maintain healthy self-esteem. New and updated material has been added including a section on running parent groups alongside children's groups, as well as a brand new layout, fresh illustrations, an expanded theoretical section and extra activities. Covering the basics, Martin (U. of Manitoba) discusses building an alliance with an adolescent client, and various facets of individual therapy, treatment issues and interventions, group therapy, family therapy, and the treatment of specific disorders. The book is intended as a handbook for clinical professionals or as a text for students. In this essential book, Richard Nelson-Jones takes a cognitive-behavioural approach to coaching people in relationship skills. These skills are viewed as sequences of choices that people can make well or poorly; covering a range of skill areas the book assists readers to make affirming rather than destructive choices in their relationships. "Brief Counselling in Schools, Second Edition" is a practical guide to providing help and support to young people experiencing a range of difficulties in their home and school lives. Recognizing the constraints of working within school settings, the book illustrates how counselling can nevertheless be effective, even when time is short and confidentiality is hard to preserve. Deborah Plummer here outlines a theoretical framework for using imagework with children, and presents seven practical sessions for use with individuals or groups. A study examines how helpful parents may be in assessing their children's alcohol and/or drug use and abuse. Findings indicate that they do not provide valuable information because they are often unaware of it. New research finds that normal aging processes have little detrimental effect on the sense of smell. Lonely people may be twice as likely to develop the type of dementia linked to Alzheimer's disease. Two new studies shed light on the process of learning new languages. A new study shows a possible mechanism for contagious laughter. Positive sounds like laughter trigger a response in the area of the listener's brain activated when we smile, as though preparing facial muscles to laugh. Why Do We Never Forget a Face? Vanderbilt University researchers have found that we are able to remember more faces compared to other objects and that faces are retained best in our short-term memory. They suggest that our expertise in remembering faces allows them to be packaged better for memory. Researchers from the Institute of Psychiatry at King's College London have found higher rates of schizophrenia and other psychoses in certain ethnic minority groups and also that parental separation in childhood is associated with an increased risk of developing psychosis later in life. The amount of emotional content in television advertisements affects viewers' opinions of the product, regardless of the intended message. Whites often avoid using race to describe other people, particularly when communicating with blacks. Researchers found that these efforts to appear colorblind and unprejudiced are counterproductive and can be associated with negative nonverbal behaviors. A possible mechanism for how the brain allows us to anticipate future events and detect unexpected outcomes has been identified.